Some gadgets get it wrong. Sometimes really badly wrong, but thankfully for the companies involved most of them tend to vanish into obscurity. 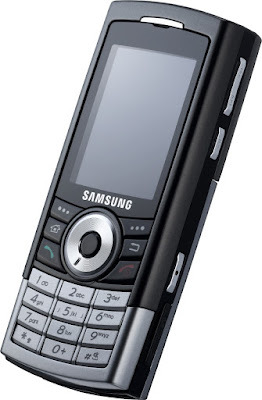 The Samsung SGH-i310 is one of those devices that gets everything wrong, so just for a moment we will shine a spotlight on it. Announced ten years ago this month, the headline feature of the i310 was the amount of memory it had inside - a whopping 8GB of storage, making it the class leader of the time. But what was unusual was that this storage wasn’t flash memory, it was a tiny hard disk instead. The list of devices that we can think of with hard disks (sometimes called “microdrives”) is very short indeed. Apart from the i310 there was its predecessor, the Samsung i300 and the slightly upgraded i300x. Nokia had the strange-but-capable N91 music phone and there was the rather obscure HTC Advantage. Other mainstream manufacturers skipped the idea completely and just used flash memory instead. The rest of the i310’s specifications weren’t all that appealing. The operating system was the new Windows Mobile 5.0 which was pretty capable for its time, and this qualified the i310 as being a smartphone.. but the tiny 2” QVGA screen and lack of a touchscreen limited its usefulness even then. There was a basic camera, a memory slot, stereo music playback but frankly not much else. The i310 couldn’t even support 3G which was becoming standard for high-end devices. A chunky and unappealing device, the i310 unsurprisingly crashed and burned having gotten almost every feature wrong. Less than a year later, Apple launched the iPhone and showed everybody how it should be done. The Samsung i310 and the older i300 are marginally collectible because of the unusual storage technology, expect to pay around €50 or so for an unlocked version if you can find one. The rival N91 is more commonly available, but is much more expensive at between €80 to €350 depending on condition.